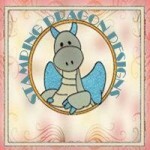 Today I’ve got a very quick digital scrapbook layout to show you. 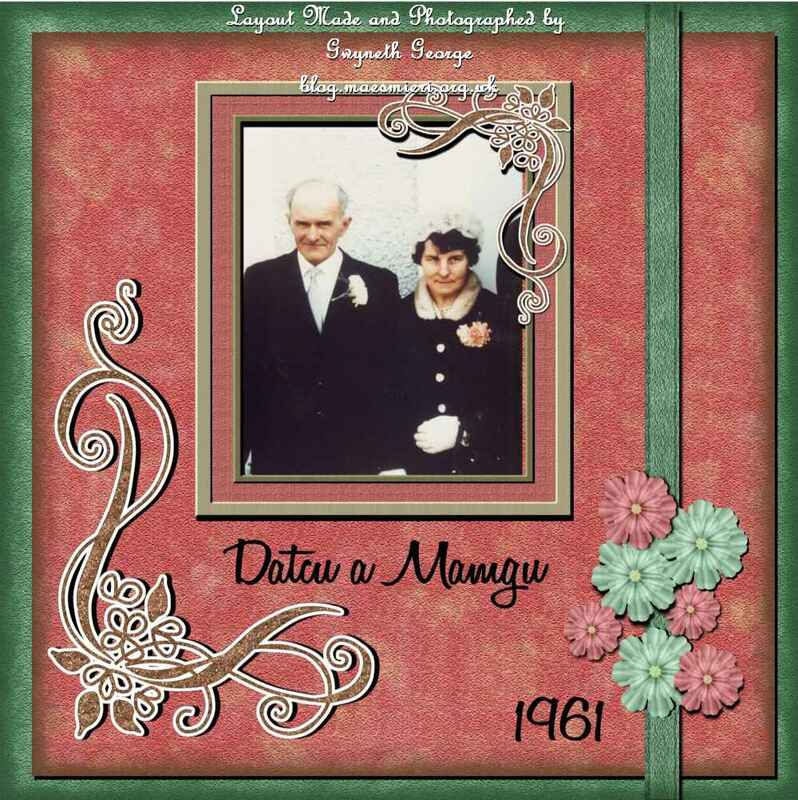 It’s made using an old photo of one set of my grandparents from the family album, and elements from a mini kit that was given as a freebie in yesterday’s Sunday Showcase on the Dragons lair Designs Inspiration Blog. The backgrounds in the collection have a lovely textured look, and the colours are lovely. “Sorbet” mini collection – Freebie with Sunday Showcase of 17th April on the Dragons Lair Designs Inspiration Blog. 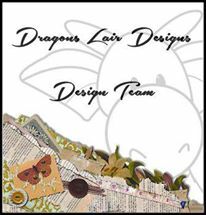 As usual I did the layout in My Craft Studio and final sizing, cropping and watermark in IrfanView. A bit of resizing, a bit of flipping of some elements, and making multiples of the flowers is all it took. And that’s it. One Quick Layout. Although, as I’ve said before about previous digital scrapbook layouts I’ve put together, I will print it out as my mother likes to keep a collection of printouts of the layouts I’ve made. 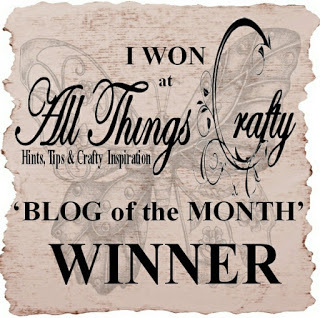 Don’t forget that there’s still time to pop over to the Dragons Lair Designs Challenge Blog to get your entry into the “Anything Goes” challenge this month. Beautiful photograph of your grandparents and love the layout. 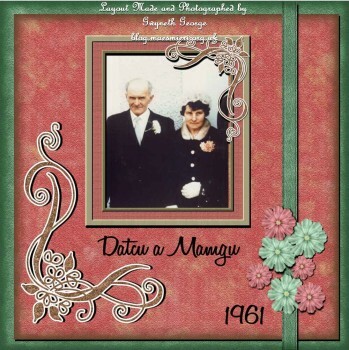 Absolutely beautiful page and I love the photo of your grandparents – great project!